The world&apos;s most expensive firework? 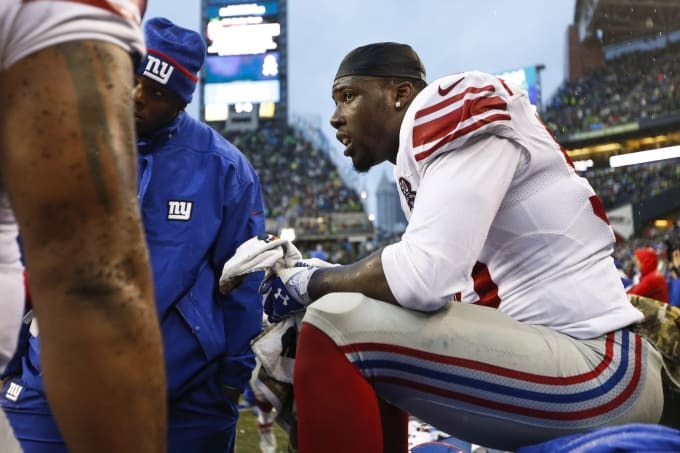 Months before the 2015 season started, Jason Pierre-Paul was looking at making $14.813 million. But that was before July 4th and now the embattled Giants pass rusher is guaranteed whole lot less once he gets back on the field. According to multiple media reports, the defensive end, who blew off his index finger and damaged other parts of his hand in a July 4th fireworks accident, will have a base salary of $2.55 million and only guaranteed to make $1.5 million after officially signing a contract with the Giants. Pierre-Paul was expected to sign the Giants&apos; franchise tag before the start of the season, making him one of the highest paid defensive players in the league. But now with an incentive laden contract that reportedly pays him $50,000 for each half sack and $50,000 for each additional half sack up to 9.5 sacks, the most JPP could make in 2015 would be $8.7 million. There is no timetable for Pierre-Paul&apos;s return to the field but he was back on the practice field this week with teammates for the first time since the injury.